From October 15, 2018 to January 31, 2019, Statistics Canada is conducting a consultation to gather input from Canadians to help validate how we are measuring poverty. Recently, the Government of Canada announced that the Market Basket Measure (MBM) will be used as Canada’s Official Poverty Line. Statistics Canada is currently conducting a comprehensive review of the MBM. By participating in this consultation, you will be supporting Statistics Canada’s ability to accurately measure low income and poverty. 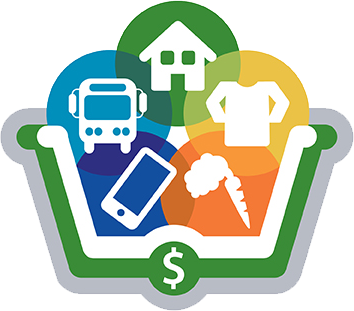 To see current estimates of how much money a family needs for items like food, clothing, shelter and transportation, and to let us know whether you think these figures are too low, too high or “about right”, please check out Market Basket Measure, Canada’s Official Poverty Line. Note: The purpose of this survey is to help validate the methodology of the MBM, which is currently available for the provinces only. Statistics Canada is working with partners in the territories to develop a territorial MBM, but it is not yet ready for validation. For this reason, questions related to the costs of the basket are not available for respondents interested in the Northwest Territories, Yukon and Nunavut. This entry was posted on Sunday, January 20th, 2019 at 12:39 pm and is filed under Social Security Policy Context. You can follow any responses to this entry through the RSS 2.0 feed. You can leave a response, or trackback from your own site.